It challenges perceptions, creates a buzz around your brand, and helps you attract the right sort of customers. In a world of information overload, video gets your brand noticed, enabling you to share powerful, memorable messages that stand out in a sea of words. But video is expensive, right? Wrong! Green Spark have come up with a service that puts quality, regular, up-to-date video content within the grasp of your business. Video On Tap is a flexible, simple way to spread the cost of high quality, regular video content for your brand: content that’s available when you need it, from a company that understands your goals and helps you nail them. 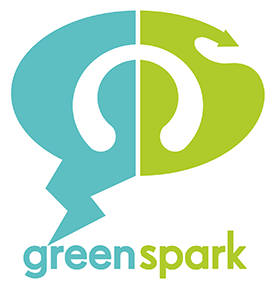 Whether you want a suite of how-to videos or product demonstrations to share on social media, one-off coverage of a conference or event, or a stunning showreel for your website, Green Spark can help. With three packages to suit all kinds of business – and affordable monthly payments to spread the cost – there’s an option that’s right for you. And the more you commit to, the more bang you’ll get for your buck. 1. Pick the package that best suits your needs and budget. 2. All packages include an initial consultation to establish what you want video to achieve for your business. Once we’ve chatted to you about your goals, you can dip into your time whenever you need it. 3. Get set to wow your target audience with clarity, creativity and impact. 4. Pay a set monthly amount to spread the cost of a year’s worth of video production time. I’m sold! what do I get for my money? Remember the days of pick ‘n’ mix at the cinema? Video On Tap is a little like that… without the tummy ache. Your monthly fee secures you a number of production units, which you can spend on whatever you want, whenever you want. Unlike some retainer services, the time you’ve paid for is banked for you to use when you need it. It won’t expire, so you won’t lose out. Here’s a devilishly simple doodle to illustrate what a production unit represents. This example was produced as a series of 6 short videos. A total of 4 Production Units were used to produce the whole series. This video was filmed along with a recruitment video and a series of testimonials, using a total of 12 Production Units. Want a taste of what we could do for you? Take five to check out our example videos. If you like what you see – and you fancy a piece of the action for your business – get in touch. We’d love to talk more about the business benefits of quality video. It’s our favourite thing. We’ll hear from you soon! We like to think we’re different. We’re a bunch of quirky creative thinkers and experienced professionals who’ve been producing sparkling corporate video content for over 20 years. We work together to produce wonderful, memorable videos you can use as clickable, sharable, engaging content to raise awareness of your business and tell your brand story.